Huemor Designs is a top notch web design and development company that offers clients diverse marketing services to keep their organizations in a state of constant growth. One of the services the Huemor Designs professionals utilize to engender this outcome is responsive web design. This technique ensures that the business owner's product pages are cross compatible. Additionally, the Huemor Designs representatives implement advanced, customized graphic design solutions which ensure that each of your product pages is aesthetically optimized. 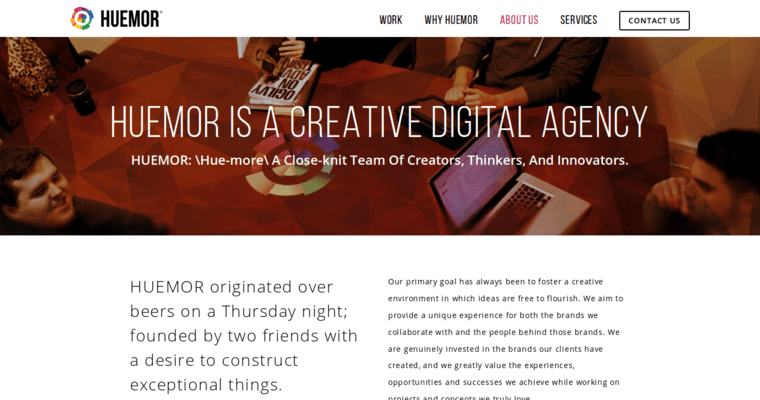 Other factors that the Huemor Designs community will optimize include functionality, conversion, and engagement. For substantive, ongoing results that take your organization into a new realm of influence and engagement, choose Huemor Designs.